Q: How to develop a new product based on an idea9 Kindly tell us your idea and send us the draft of picture with specifications or 3d drawing if possible,we can make a new product through open mold and help you to carry out your ideas. We always attach great importance to quality control from the very beginning to the very end, each step of production and finished products will be inspected by QC department before shipping. We welcome any serious buyer to visit us and talk for more cooperations on new product development and production. 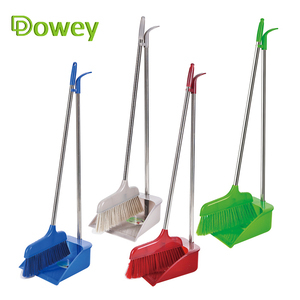 Shantou Eversmily Daily Necessities Co., Ltd.
Boomjoy windproof dustpan with broom set cleaning tools with broom cleaning tooth. 2.General introduction:Our company has more than 2000 squares office and exhibition room,and neat factory. Q: What is your delivery date9 A: Normally, our delivery time is about 10 d ays after confirmed, it is based on the circumstances. Q: There are so many suppliers, why choose your company9 A: We have specialized in cleaning mops for more than 30 years. Our trading company Joyan Houseware Products, established in 2009, in charge of household cleaning products We have become the leader supplier of the Chinese cleaning products in nearly 6 years. Our products including mops, buckets, brushes, window cleaner, ladders, broom and dustpan. Our mop design had won Successful Design Award,IDEA Award in 2014. We have passed ISO9001 quality system certificates, OHSA 18001 environmental system and ISO14000 safety and health system. Multifunctional Colorful Lovely Mini Desktop Computer Keyboard Clean Sweep Dust To Dust Small Broom Brush Set With Dustpan Shove Dustpan + brush 21*16.5*2.5cm Material:PP,PET Company information: Ningbo Dongsu Plastic Industry Co., Ltd. is a professional manufacturer on cleaning products on spin mop, flat mop, spray mops, window wiper etc for 7 years. More than 20 patents of design and utility on mops, 150 workers, 10000sqm factory, 3000sqm non-dust workshop, 3 year's vendor of ALDI, Target etc. Shantou Jiemao Crafts & Gifts Co., Ltd.
Qingdao Shianku Food Safety Technology Co., Ltd.
2.The plastic broom is with special soft brush to design and doesn't cause any damage to floor. 3.The plastic broom is applicable to any materials floor, such as marble, tile, plastic, wood and so on. 4.Just broom head or broom head with broom handle are both available. 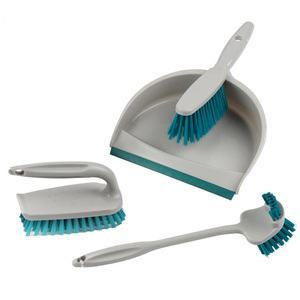 Alibaba.com offers 3,006 cleaning broom set products. About 78% of these are brooms & dustpans. A wide variety of cleaning broom set options are available to you, such as pet, pp, and pvc. You can also choose from home, hotel, and outdoor. As well as from free samples, paid samples. 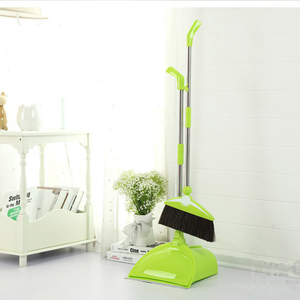 There are 2,943 cleaning broom set suppliers, mainly located in Asia. The top supplying countries are China (Mainland), Taiwan, and Russian Federation, which supply 98%, 1%, and 1% of cleaning broom set respectively. 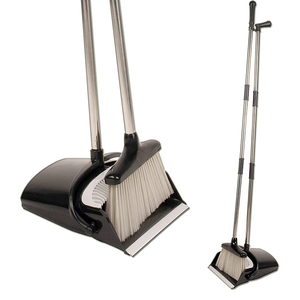 Cleaning broom set products are most popular in North America, Western Europe, and Domestic Market. You can ensure product safety by selecting from certified suppliers, including 441 with Other, 401 with ISO9001, and 158 with FSC certification.